My husband and I have a game that happens when we travel around the state (or rather, I get inquisitive and he tends to shrug his shoulders and laugh at my eagerness.) I have a rather big fascination with the farms in California. We drive through the country side and I’m constantly trying to figure out what’s growing. “Oh, those look like almonds!” I’ll exclaim or sometimes I’ll be stumped and take to the internet (a few bushes still have me confused.) On one particular occasion, I may have shouted a bit too enthusiastically, “OLIVES! LOOK OLIVES!” Coming from Illinois, anything that isn’t corn or soy beans is a real treat. It’s exciting to live in an area that can grow so much. Today’s post is in conjunction with California Olive Ranch. I talk a lot about local buying but for some ingredients, locally could mean the difference between the US and another country. Olive oil’s imported from other countries have been in the news in the past few years for the lack of quality but the truth is, California is producing stellar olive oils that have amazing flavors to the point of where you can even go on olive oil tastings (just like wine tastings.) These are the types of olive oils that make great salad dressings. Now that you have good olive oil, it’s time to put the pre-made bottled dressing down and walk away slowly. I have a couple different mason jars I use to make up batches of dressings for my husband (he likes the full dressing more than the oil/vinegar combo). My typically dressing combination: 3 parts olive oil, 2 parts vinegar (balsamic, champagne, or apple cider), 1 part sweetener (honey or maple syrup), an add in or two (mustard, cheese-like feta or parmesan, berries, ginger, sesame seeds, etc), and a pinch of salt and pepper. Give it a good shake in the mason jar and we have dressing for a few salads. Preheat oven to 325˚. In a bowl, toss together almonds, sesame seeds, honey, and soy sauce until almonds are well coated. Spread out into a single layer on a parchment covered sheet tray. Roast for 14 to 16 minutes until sesame seeds are starting to brown. Remove and set aside, letting cool completely. 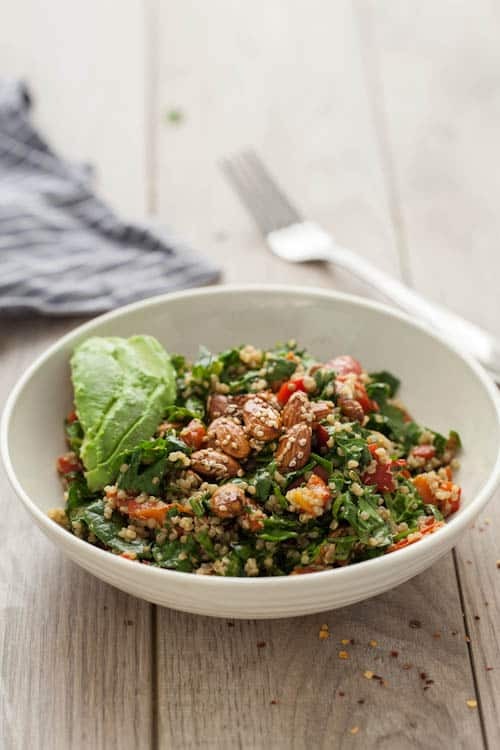 To assemble salad, combine spinach, quinoa, red peppers, cilantro, and roasted almonds in a bowl and chop together. Add avocado and drizzle dressing over the salad. Lightly toss salad and serve. *Tamarind paste can often be found at health food stores, online, or in Asian markets. If you can’t find it, simply leave it out. 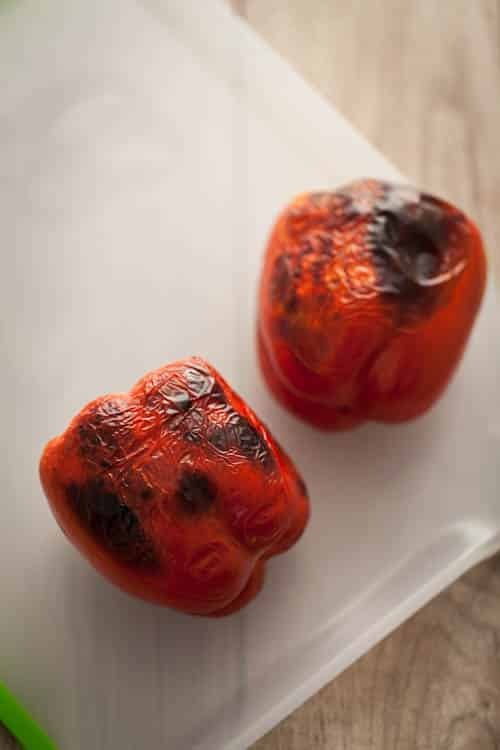 **To roast a red pepper, place pepper under the broiler, rotating occasionally, until the pepper is charred. Disclaimer: This post was sponsored by California Olive Ranch for their Spring, “Fresh, Bright, & Light” campaign highlighting salads and salad dressings. It’s post like this one that helps me keep the site running and delivering delicious, vegetarian meals to you weekly! Also, big thanks to California Almonds, California Avocados, and OXO for providing the key ingredients/tools to make this salad. 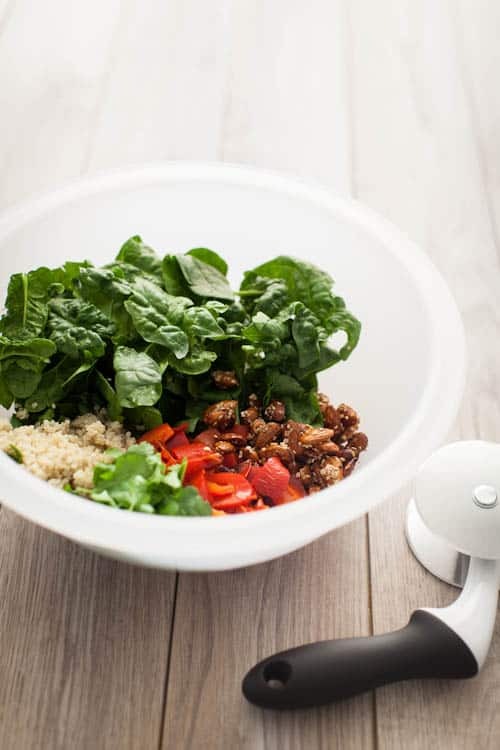 I’m kind of in love with the OXO salad chopper. This looks like my kind of salad and on the list for this weekend. This salad looks so fresh and beautiful! And those almonds sound like they’d be just as amazing as a snack as they clearly are over a bed of tasty greens. Yay! Yum! I’d love to do an olive oil tasting! This is just my kind of salad – lunch for today sorted! That dressing sounds so awesome I might make double so I’ve got plenty left over! 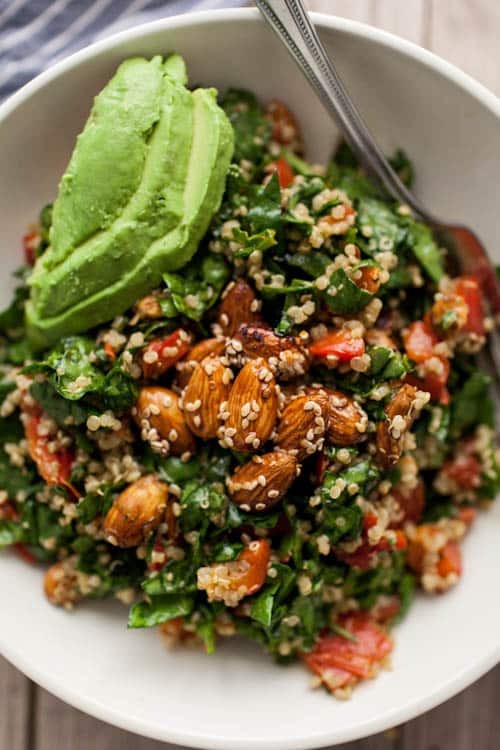 Mmm, I love the quinoa, cilantro, and avocado in this salad and these roasted almonds are special. I never think of doing anything more to nuts than just dry roasting them, but this I would do. 😉 Home-made dressings are a huge deal in our house too. 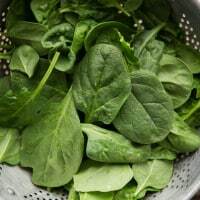 I’ll store a small batch in the fridge to have on hand for several days so grain or veg salads can come together quickly. Oh, some of my favorite flavor combinations in this one. Looks fantastic! 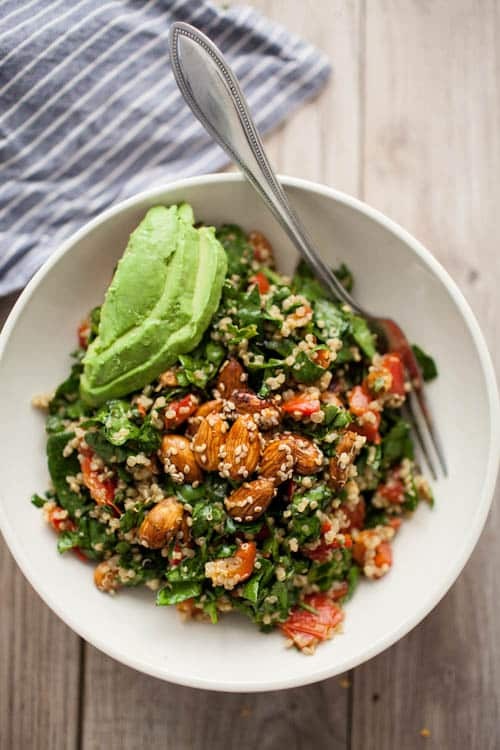 Gorgeous salad, a great option for a healthy lunch! A good olive oil is a thing of beauty isn’t it? I am definitely getting into salad mode for the year! And Califlornia Olive Ranch olive oil is one of my favorites!! I always get a little giddy when I see it in the store. Kind of want to inhale a whole bowl of this. This looks so delicious! 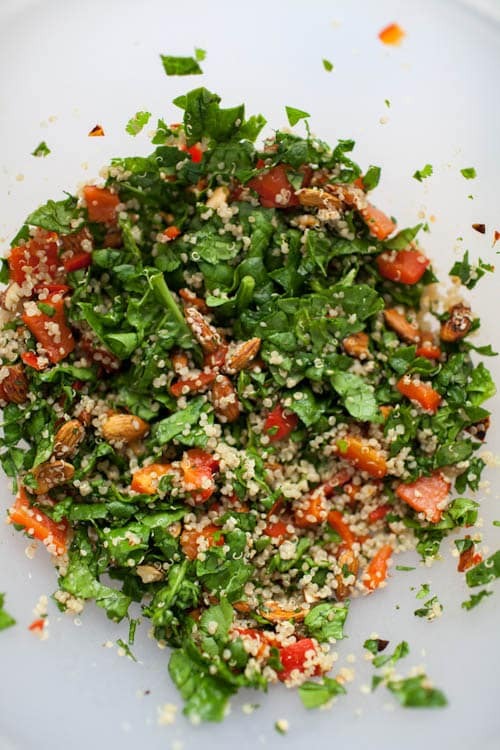 I eat salad almost everyday, so I can’t wait to try this and add to my favorite, savory dishes. Thank you! 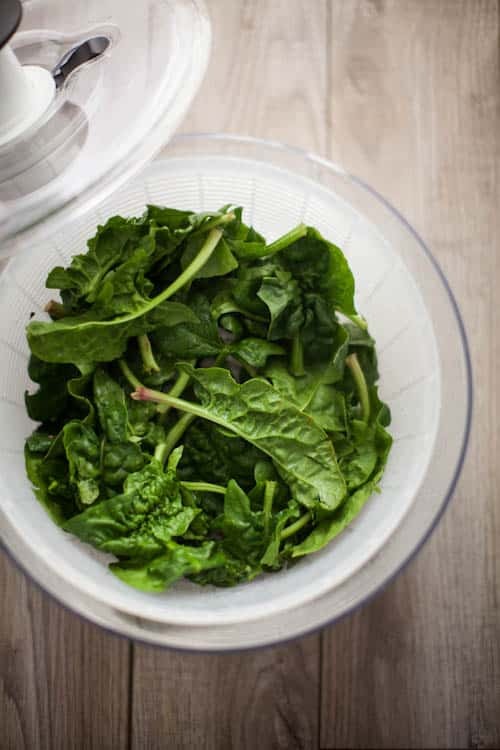 I’m loving the flavors of this salad and love that you add a touch of sweet to your dressings -delicious! Goodness gracious me. I want to eat everything on your site. Now. This looks so delicious and nourishing! I hate living in a big city where I can never see anything really growing. What’s the difference between tamarind paste and tamarind concentrate? Is this the black sticky stuff? 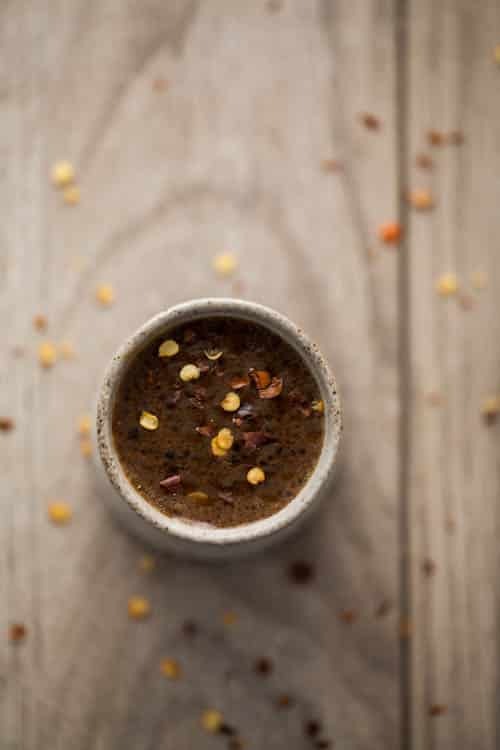 I just made this tonight and I can tell it’s going to go into heavy rotation – delicious, simple, healthy. Everything ideal! Thanks. Best salad EVER. Wow! Thank you for sharing. And I had all of the ingredients on hand. Looks delicious!! Now I know what I’m going to eat for a lunch! Again, beautiful photos! !